Most of Kerala, whose native habitat consists of wet evergreen rainforests at lower elevations and highland deciduous and semi-evergreen forests in the east, is subject to a humid tropical climate. however, significant variations in terrain and elevation have resulted in a land whose biodiversity registers as among the world's most significant. Most of Kerala's significantly biodiverse tracts of wilderness lie in the evergreen forests of its easternmost districts. 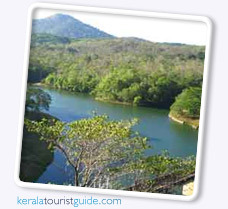 Thenmala is India's first planned eco-tourism destination, which is gaining popularity due to its unique vistas, bio-diversity and functioning. Situated about 72kms from Thiruvananthapuram, in the District of Kollam, the Thenmala Eco-Tourism shares its resources with the famous Shenduruney Wildlife Sanctuary at the foothills of the Western Ghats At Thenmala Eco-Tourism, a visitor is taken care of by its well-trained staff providing guidance and information about the various attractions and facilities, enabling one to move about, explore and experience every bit of this remarkable destination. There are well-placed signboards, direction pointers, and information boards to facilitate one's movement inside the project area. Divided into different zones with a particular theme, the project area currently has three major zones viz. Culture Zone, Leisure Zone and Adventure Zone.